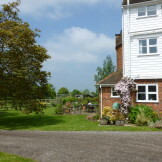 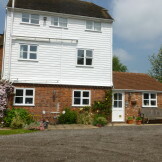 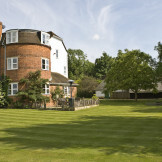 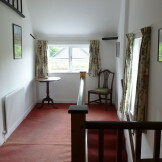 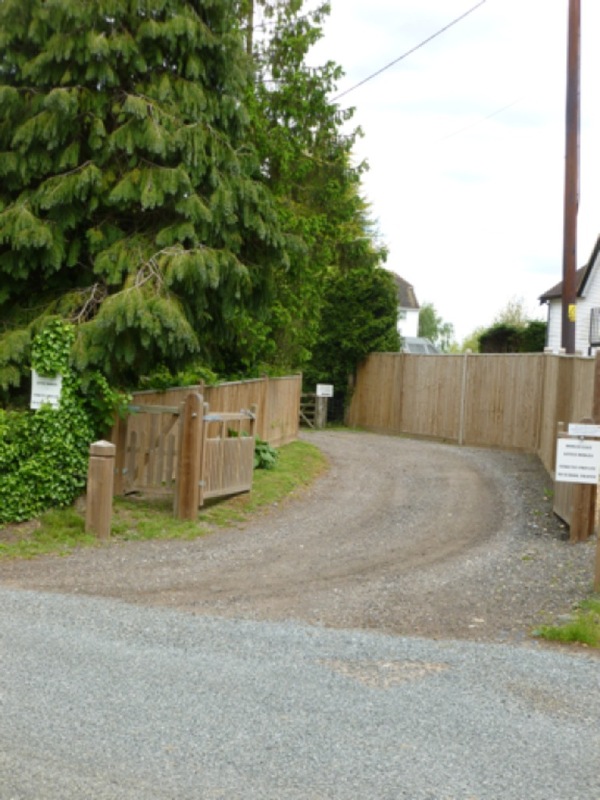 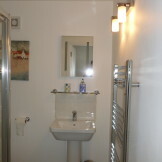 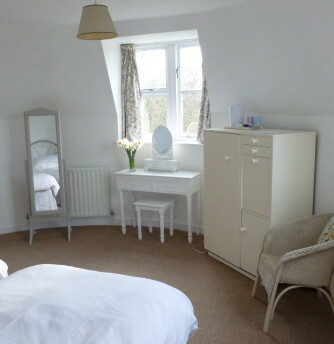 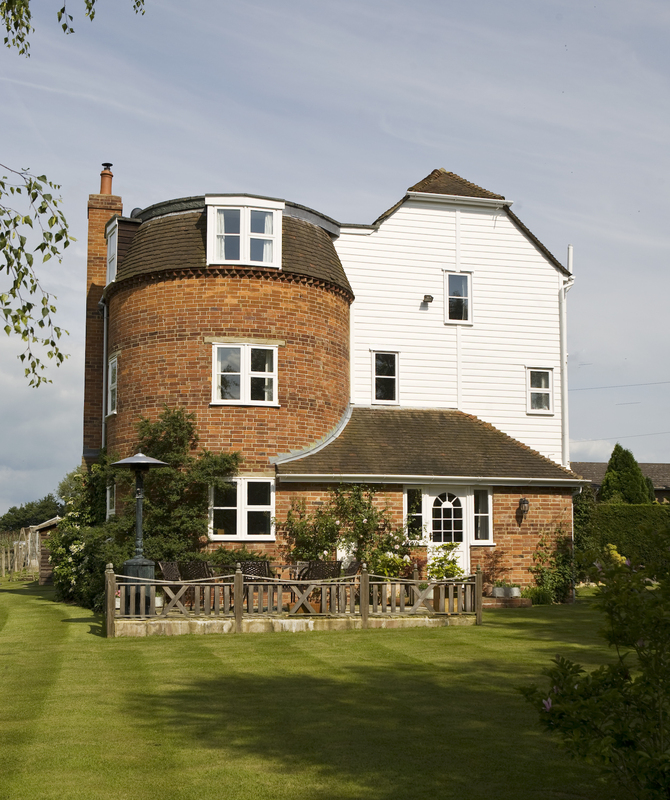 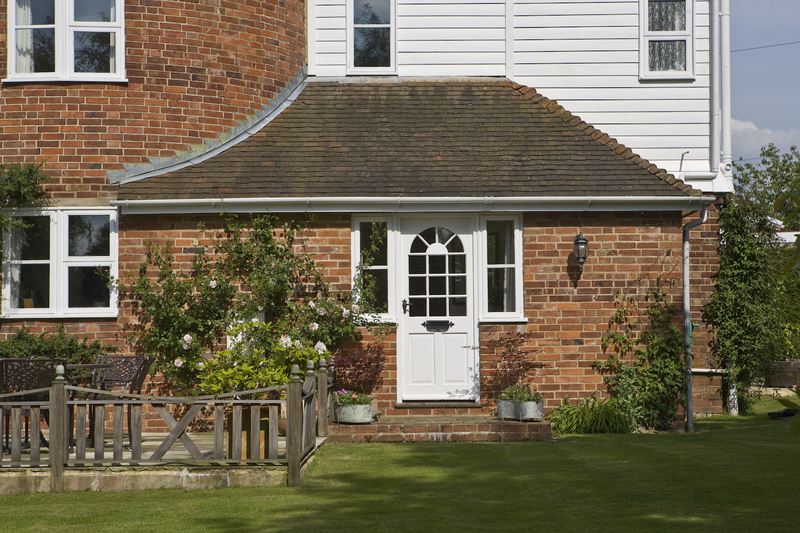 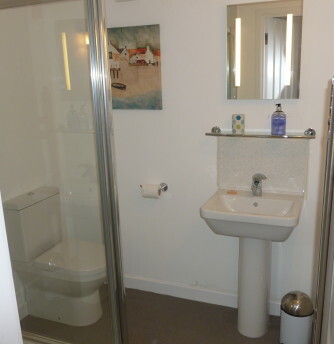 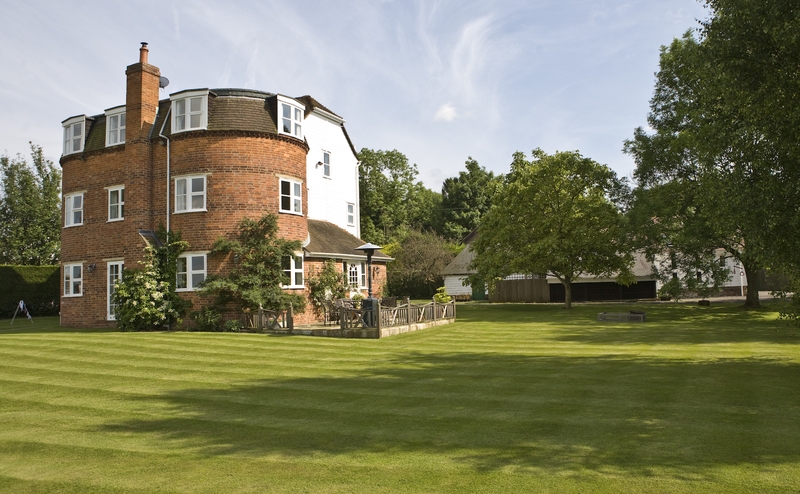 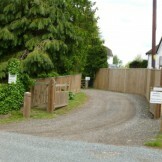 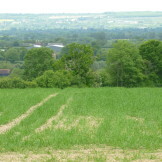 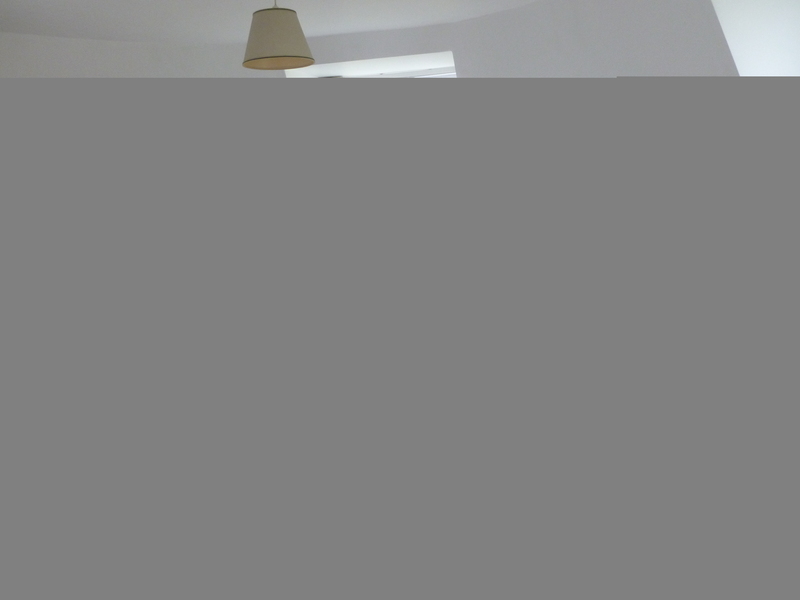 Warm and inviting bed and breakfast accommodation in a traditional Kentish Oast. 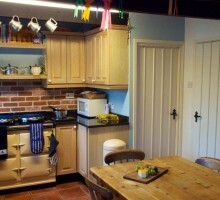 Flexible booking and a wonderful full English breakfast. 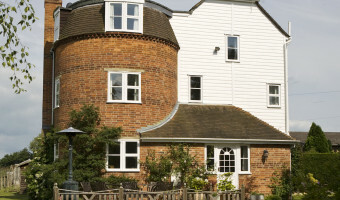 Dodges Oast B & B - Tea for two? 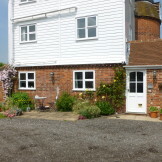 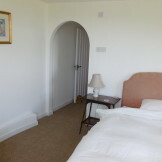 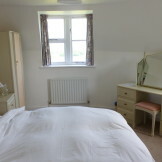 Dodges Oast B & B - into the double bedroom. 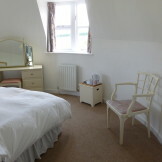 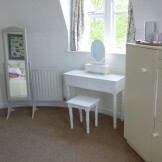 Dodges Oast B & B - Have a seat? 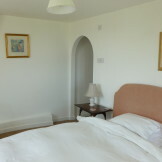 Dodges Oast B & B bedroom with a view! 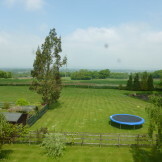 The trampoline blew away! 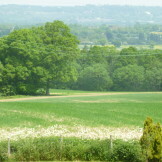 Dodges Oast B & B a view from the bedrooms. 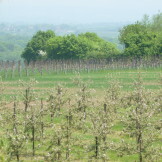 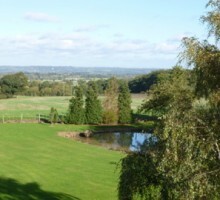 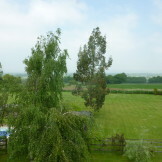 Dodges Oast B & B view from Double bedroom - apple trees! 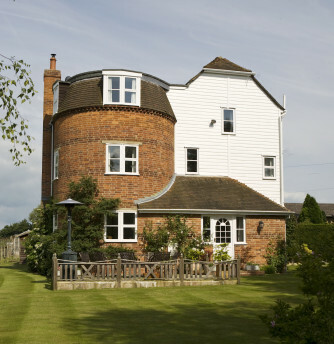 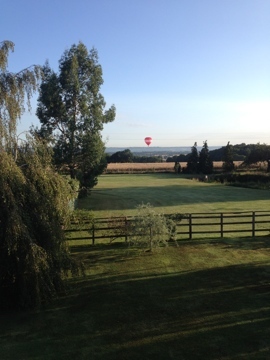 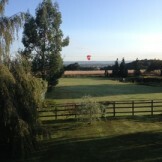 Dodges Oast B & B The Landing!